When I self-published Somewhere and Nowhere, my bike trip memoir, I didn’t invest in the cover as I should have. In addition to wanting a professional design, I’ve been rethinking the back cover copy based on some things I’ve learned. One summer, two young women head west on their bicycles from Cape May, New Jersey. In three months on the road, they battle 14-percent-grade hills, tornado-force winds, and 110 degree heat. They are sheltered by everyone from nuns to cowboys. They swim in the Missouri River, climb the Rocky Mountains, and cross the Continental Divide–three times. And eventually, they reach the Pacific. Emily hoped to find peace and happiness away from the clutter of life. With nothing to do but ride her bike all day, life would be simpler… or would it? I never felt comfortable promoting the book, though. Then I read Seth Godin’s This Is Marketing. His book describes reaching a small, specific audience. The readers who’ll be my book’s fans (I think) are people who struggle to be present and to calm the noise in their heads. I wanted to rewrite the cover copy to reach these readers. Last weekend in the library, I saw a book called 13 Things Mentally Strong Women Don’t Do. I walked past thinking, “I don’t need something else to read,” but then found myself going back to it. I thought, “I’ll just read the back cover.” The back cover listed right out the 13 things, and I wanted NOT to do them. I wanted to know how. I had to check out the book. -LET GO OF THE TRIP YOU THOUGHT YOU’D BE ON. 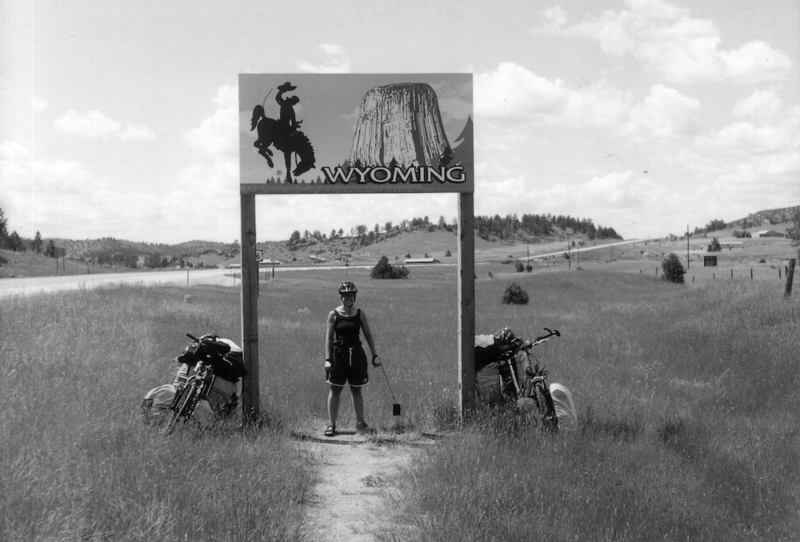 When Emily and Mary head west from Cape May, New Jersey, Emily imagines the peace she’ll find bicycling across the open spaces of America. 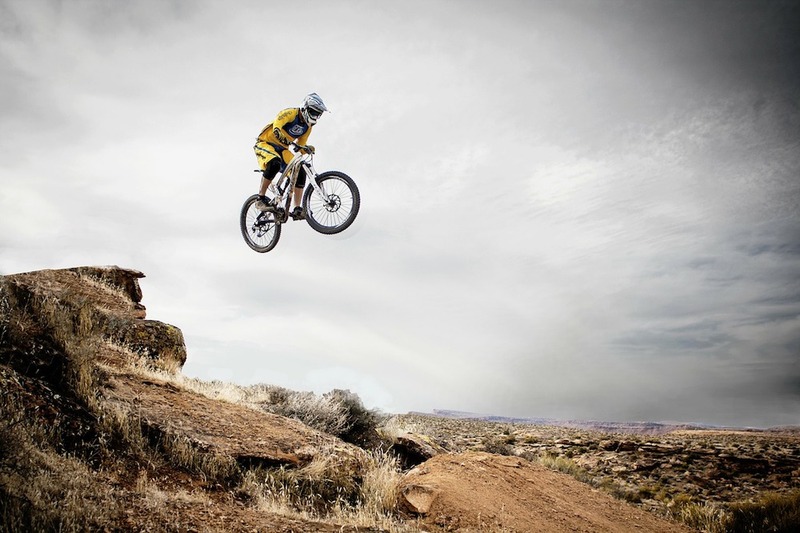 With nothing to do all day but ride her bike, life will be simpler… or will it? Emily battles 14-percent-grade hills, tornado-force winds, and 110 degree heat, waiting for the fun to start. As the women find shelter with everyone from nuns to cowboys, she clings to the best moments. And on the wide open plains, she comes face to face with the noise in her head. But as she crosses the Mississippi and climbs the Rocky Mountains, she begins to discern patterns: Worries that hound her. Recurring thoughts that impede her happiness. Daydreams that remove her from reality. She discovers a path to transform herself, even as she begins to accept the present moment. I’m still soliciting feedback and would love to hear your thoughts in the comments. I’d also love to know any books with back cover copy you could not resist. This entry was posted in For Self-Publishers on April 9, 2019 by Emily. I had thought writing cover copy was simply about creating a good hook to snag readers, but the webinar introduced many more factors to consider. Here are some that I found particularly useful. Some of the points stressed in the webinar are ones I have heard before. But I had heard them in other contexts, like writing blog posts. I had not considered applying them to a book’s back cover. Lee brought up some interesting points about audience, such as the following. The webinar briefly touched on design in a way that was helpful. The webinar ended with the reminder that books are for people, and your cover copy should make people feel something and show you care about them. There were a lot more details, tips, and examples in the webinar. I recommend watching it if you are interested in learning more about effective back cover copy. *Lee used the terms “men” and “women” for gender, but the fact that gender is non-binary was addressed. I’m not sure how to properly categorize: maybe “people who are more emotional like emotional wording”? Also note that some viewers may not care for Lee’s humor; to his credit he seemed to realize that his jokes were problematic, mid-webinar. This entry was posted in For Self-Publishers on February 1, 2019 by Emily. Someone at my day job recommended This is Marketing by Seth Godin (Portfolio, 2018). The book explores today’s marketing (as opposed to that of a few decades ago), highlighting the changes brought by the Internet. The book’s content seems a far cry from traditional marketing advice. A lot of the ideas resonated with me. The main theme seems to be that marketing used to mean advertising, but today it means serving others and solving their problems. With this new type of marketing, there are no shortcuts, but it is a viable path to success. Chapter 15 differentiated between direct marketing (like paying for ads) and brand marketing. Online ads sound great, but they are mostly ignored. Most of us low-budget small businesses need to do brand marketing. You must be patient and engage with people and not try to measure results. 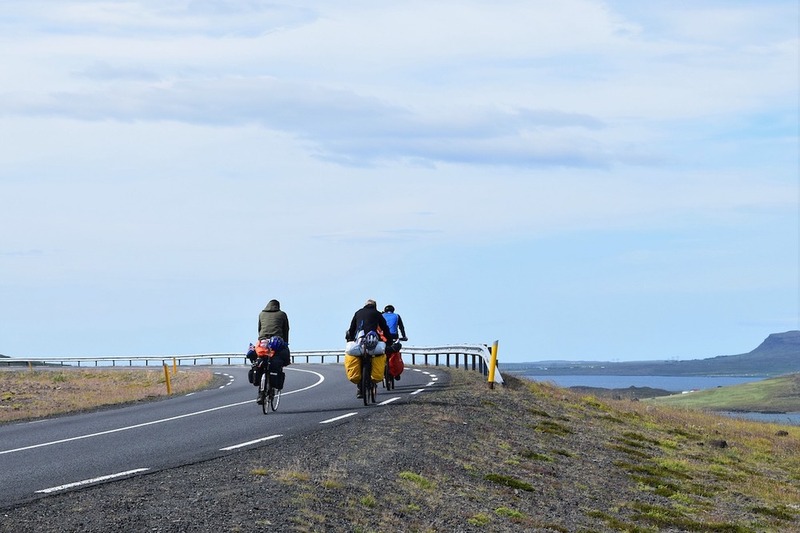 When my bicycle trip memoir came out, I tried to think of all the audiences I might target (bicyclists, outdoor enthusiasts, women who travel). But I never felt comfortable enough to move forward with the marketing tasks. I knew some people would not like the book, and felt too nervous about their reactions. Now, though, I know whom I want to reach: people who have trouble being in the present moment and silencing the noise in their heads, as I did when I went on my bike trip. I’m planning to rewrite my metadata and back cover copy to better target this group by more clearly showing the book’s contents, instead of trying to make the book appeal to as many groups as I can. People scan instead of reading, and they make assumptions about you based on what they see at a glance; this is why you need a professional looking website. If a person sees your materials and thinks “unprofessional, must be a scam,” that feeling will stick, even if it is irrational (e.g., plenty of good organizations have dated-looking websites). This is also why book covers work better if they look professional and, sadly, similar to other books in the genre; the sameness signals to readers that the book fits in with what they like to read. The ideal case is to have a cover that fits in enough to be trusted but is also unique enough to attract interest. Many logos look the same because the company is trying to remind you of a “solid company.” Remember, it is the viewer’s opinion that matters, not the designer’s. NOT “flying a flag” is not an option; not having a presence online, for example, will lead to assumptions about you. Chapter 5 included a concept that helped me brainstorm: Different people value different attributes, like price or quality. Figure out where your product falls in the range of each attribute; which ones are your strong points? These will determine your target audience. Even better, can you find an attribute that has been overlooked? If so, you can be the first to offer it. Here are some final bits that I could not fit in above. And from the inspiring Chapter 23, some marketing is evil. But marketing can also be good and make the world better. It should be transparent and bring joy. Marketing is a craft you can improve, so if you feel like you are failing, don’t blame your product, just learn to market better. There are people out there who need your product. Although some material in the book repeated, and at times I had trouble following it, the short length of the sections made it easy to get through, and there were many broad ideas and nuggets of wisdom to take away. I recommend this book to anyone with a product to market. This entry was posted in For Self-Publishers on January 20, 2019 by Emily. Producing an ebook is one of the more confusing parts of self-publishing. Guides offer all kinds of suggestions for DIY software and companies who’ll create the ebook for you. I chose to create my own ebook for a few reasons: (1) to save money, (2) to learn something new, and (3) because Bread Science is complicated. I wanted the index of Bread Science to link back into the book, but without page numbers, I had to choose which word each index item would link to. I also had to move the 200+ pictures to be in-line in the correct place in the text, and to modify the text in places to match. I thought it might be impossible for someone else to make these changes correctly, or at the very least it would cost a fortune. But recently I had to look at the code of my ebook. (While I have never found a problem with it, running it through an “ebook validator” showed six errors, and this prevented the ebook’s acceptance at OverDrive [via Kobo], the ebook service libraries use.) I’m sharing the experience here. Create a Word document, format it properly, and convert it using conversion software (like Calibre) or upload it at a sales site (Kobo, KDP, etc.) and let them convert it. This seems like the most accessible method to me. Create an InDesign document, format it properly, and export it as an EPUB: I’ve been told this is a thing, and preferred by professionals, but I have no idea how this works! I’ve only used InDesign as a page layout program. 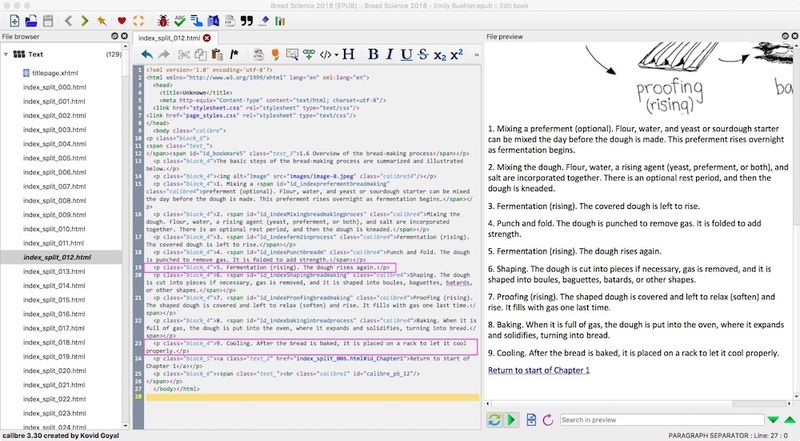 Create an EPUB by writing code. Yikes. Use method 1 or 2, then tinker with the code to make it better. This method is what we’re exploring here. I’m not an expert so i won’t try to explain this in detail, but basically, what’s behind an ebook is code similar to a web page’s code. 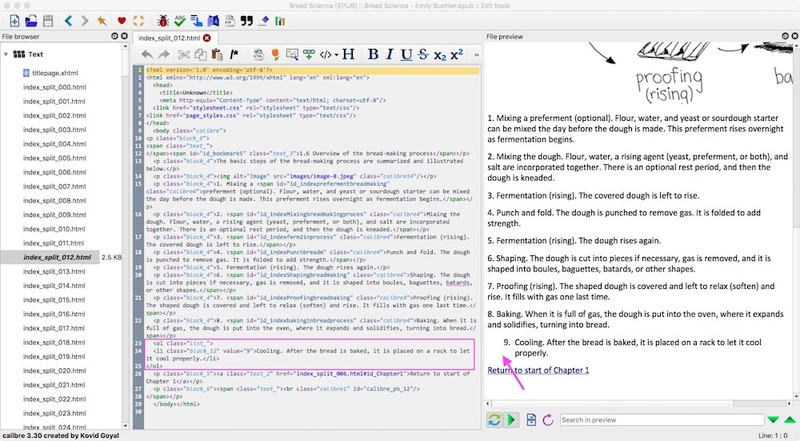 When you use a program to convert a Word document to an ebook, the program creates that code. Your proper formatting of your Word document results in good code. There are probably people out there who can write that code straight out of their heads. Most people, though, create the code using a conversion program and then tinker with it. Calibre has an ebook editor, so I decided to start there, since I’d used Calibre to create the ebook. ERROR RSC-005 /index_split_012.html (line 24, col 33) Error while parsing file ‘attribute “value” not allowed here; expected attribute “dir”, “id”, “lang”, “style”, “title” or “xml:lang”‘. Initially I had no idea what these errors meant. 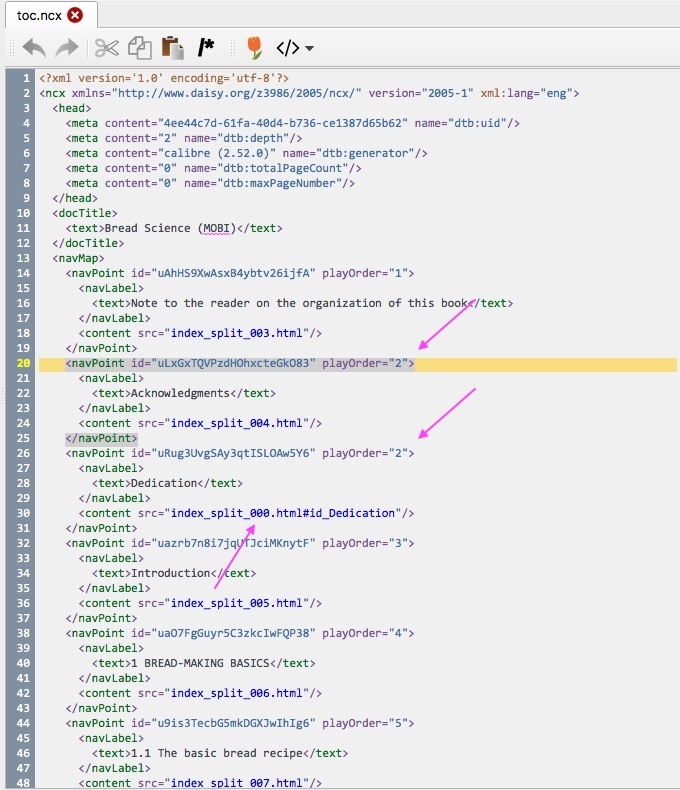 You can see that each error contains a location: an html file name, and a line and column. I opened the file (index_split_012.html) in the editor and looked at line 24. You can see that the code for list item 9 (in the box) differs from the code for the other list items, and there is a corresponding odd indent in the ebook. The code is extra confusing because some of the items are bookmarked and linked to from the index (that’s what the blue ids are for) but some are not. List item 9 (“Cooling”) is not linked to from the index. I altered the code to match the code from line 19 (list item 5: Fermentation), because this list item also does not have a link from the index. This removed the error. So basically, I never really understood the error in technical terms, but I was able to adjust the code using nearby samples. ERROR RSC-012 /toc.ncx (line 30, col 58) Fragment identifier is not defined. This turned out to involve a table of contents (TOC) item, the dedication page, that was missing its bookmark. So, the converter (rightfully) got confused and pointed the link to the dedication page at the title page instead. I manually added the bookmark code, and in two places corrected the link (sending it to the dedication page, index_split_004.html, instead of the title page, index_split_000.html). ERROR RSC-005 /toc.ncx (line 20, col 58) Error while parsing file ‘identical playOrder values for navPoint/navTarget/pageTarget that do not refer to same target’. I think this error occurred because my Acknowledgments and Dedication are two items in the TOC, but I did not insert a page break between them as with all the other TOC items. I had to search the error online to figure this one out. It appears that a playOrder number cannot point to two different locations. Even with the “000” corrected to “004” I still had two different locations: index_split_004.html and index_split_004.html#id_Dedication. So I had two choices: change the second location to match the first (in which case readers clicking on “Dedication” in the TOC would be taken to the top of the page, and would have to scroll through the Acknowledgments to reach the Dedication at the bottom), or renumber all the playOrders manually. I did the latter. I uploaded my tinkered-with EPUB to an ebook validator and it passed the test. I still find working in code daunting, but at least now I know what it means to tinker with the code, and I was able to make some quick fixes. This entry was posted in For Self-Publishers on September 6, 2018 by Emily. Since I first got involved in self-publishing, I’ve wanted to share what I’ve learned with other interested authors. The information has taken various forms over the years. The latest is an outline that spans the entire process and also seeks to clear up some of the confusing areas. I self-published Bread Science in 2006. There were few legitimate services back then, so I had to do much of the work myself. I read some helpful books but none that gave a complete overview, including all the small tasks you might not think about (like registering your copyright or investigating shipping options). I also sorely needed a chronological list. Soon after my new book came out, I began to realize I’d made a mistake: by following a decade-old process, I had missed opportunities. There are so many possibilities for self-publishers these days! I decided to learn more about the current state of self-publishing. While there are many services available, authors might want to learn more about what they can do themselves to save money and retain more earnings, and I knew about DIY self-publishing. Many areas of self-publishing have become very complex; I could help to clarify them for authors. I could still provide an overview of the whole process, which many guides lack. I rewrote my original guide, adding new material. The Editorial Freelancers Association published is as en ebook in 2017, available here: http://www.lulu.com/shop/emily-buehler/is-self-publishing-right-for-you/ebook/product-23343169.html. (I called it DIY Self-Publishing: An Overview, but apparently Lulu would not allow the word “DIY” in the title.) It should be available in fall 2018 as a print book. I also prepared slides for a talk at my local library, and incorporated new information I’d learned about distribution, one of the areas I find most complex. The slides were too big to upload as one PDF. I’ll keep updating and posting as new services develop! This entry was posted in For Self-Publishers on May 11, 2018 by Emily. 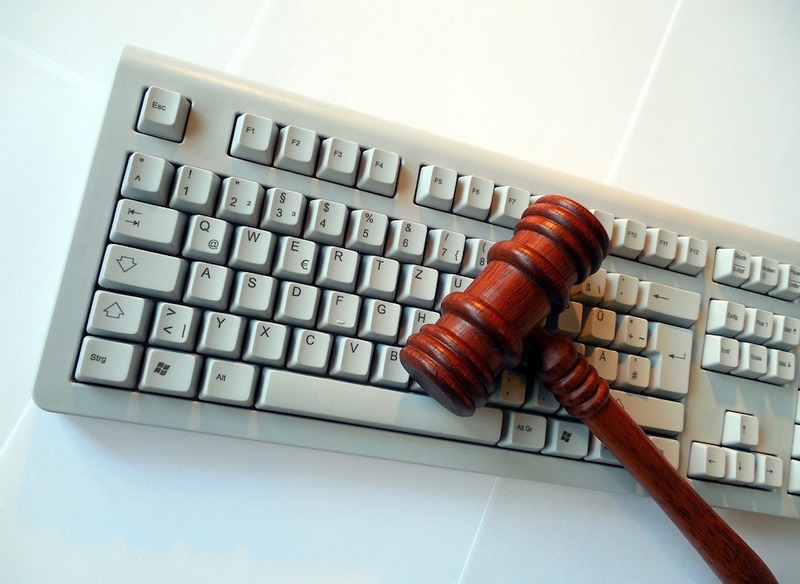 Libel, and Copyright, and Privacy, Oh My! any material that might be considered libel. If you quote an email that someone sent you, the copyright of the material may belong to the person who wrote it. If you take a photo of a sculpture, the sculpture (a work of art) might be copyrighted, and you’d need permission to use the photo, even though you took it. With songs and poems that are relatively short, even a small quote might be too much. The music industry is known for being particularly strict about copyright. If a living person can be identified, even with a name change, you might be infringing on the person’s privacy. A fictional character that is obviously based on a real person, even with a different name, can get you in trouble. In addition to the right to privacy, there is a “right to publicity”; you cannot use a famous person’s name or image to make money without permission. Using “in my opinion” before a negative statement about another person is not enough to protect you from an accusation of libel. 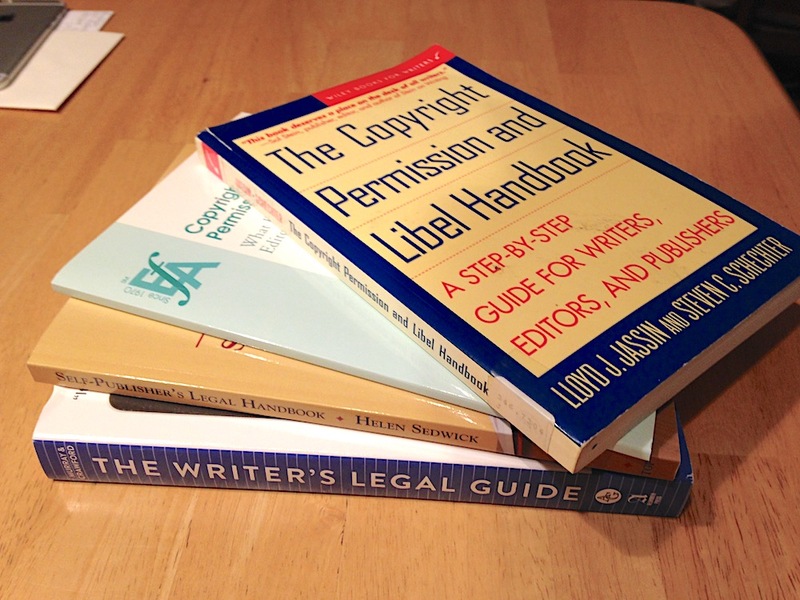 Copyright and Permissions by Elsa Peterson: This is a quick read that focuses on copyright. If you want to deal with permissions yourself (see more below) it includes guidance, as well as sample letters. Self-publisher’s Legal Handbook by Helen Sedwick: This is also a fairly approachable book. 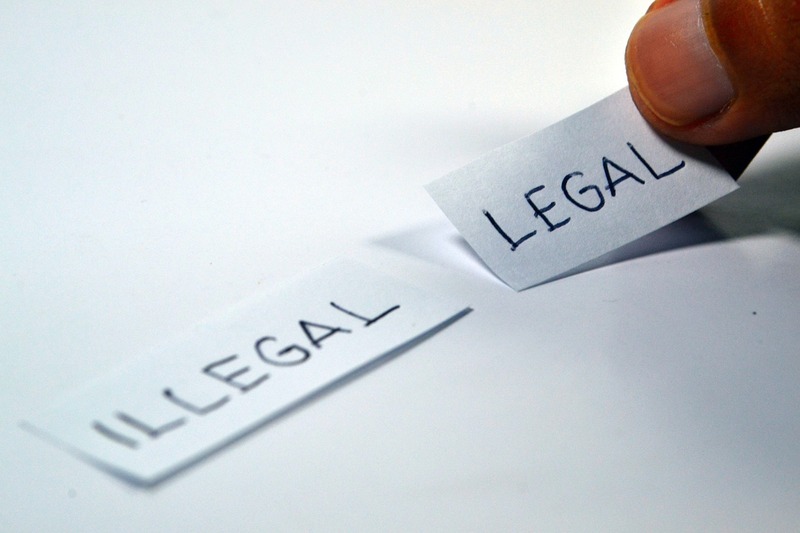 In addition to copyright, privacy, and libel issues, it covers setting up a business, understanding contracts, working with various types of self-publishing services, understanding taxes, and more. The Copyright, Permission, and Libel Handbook by Lloyd Jassin and Steven Schechter: This is a very detailed book about copyright, privacy, and libel and the one I would read if you want to learn the most about all three issues. The Writer’s Legal Guide by Kay Murray and Tad Crawford: This includes a wide range of information (contracts, taxes, agents, dispute resolution, how to register a copyright), but you can find copyright infringement information in Chapter 5 and privacy and libel information in Chapter 8. There are also many online articles (like this one), and the US Copyright Office has material online. Writers conferences frequently include a session on copyright or other legal issues, and groups like the Authors Guild sponsor online webinars. So, if you have a manuscript written, what’s your next step? 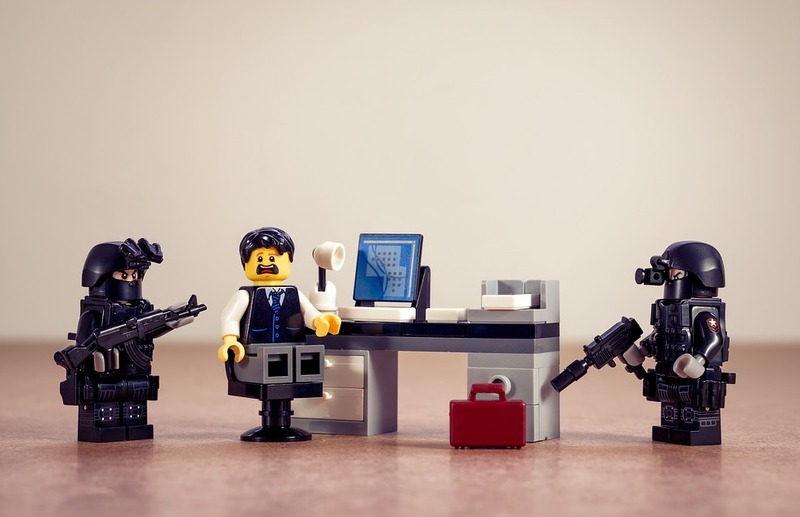 If you want to use copyrighted material and there’s a lot of it, you might work with a permissions editor, who will hunt down the copyright owners, send permission letters, and pay the necessary fees (using your money, of course) or let you know if a fee seems out of your budget. Note that a permissions editor might not work on material that infringes on privacy or could be libelous. If you want to handle permissions yourself, go through your manuscript line by line and make a spreadsheet with every possible problem. Don’t skip over passages that seem problem-free, because all kinds of things will pop out that you never thought of as problematic when you wrote them (this might be more true for certain types of nonfiction, like memoir). Even if you suspect it’s not really a problem, include it in the spreadsheet so that you feel like you have not missed anything. Then, solve each problem. Some will be easy to check off your list. For example, maybe you’ve included the title of a book; then you read that titles cannot be copyrighted, and so you check off that item. In some cases, you might decide to seek permission. In others, you might decide to cut material to avoid a problem. What if you don’t have a budget to pay for permissions, or someone just says “No”? Then it is time to rewrite. I know this might seem like a tragedy at first. I struggled with the simple task of changing people’s names, thinking, “It won’t be true anymore!” But then I realized that readers won’t know; they won’t be thinking about whether or not the names are accurate, and ultimately, it won’t affect their experience with my book. In some cases, the rewrites made the book better. For example, while on the bike trip, Mary and I often sang to pass the time. “Blowin’ in the Wind” became a favorite because of the difficulty of biking into the wind. I was pretty sure I could not afford permission to use the lyrics, however. Then I realized that I hadn’t actually known the lyrics when biking—I’d been making them up. It was only once I got home that I searched online and found them, and pasted them into my manuscript. So I changed the passage to have me singing, “How, are the times, of a man, um-de-ahhh, … before he’s asleep on the sand? How many laaa, da-da, white dog ale, before it’s for contraband?” This version actually better captured what happened, and didn’t require permission to use. In another instance, I had to remove a scene to protect someone’s privacy, but the scene was important. I ended up writing a new scene, and as I wrote it, I felt the spirit of the book coming through, and really felt okay about making the change. Issues of copyright, privacy, and libel can be intimidating. It’s tempting to keep your head in the sand and ignore them. But you will feel better if you learn about them and try to do things right. * It just seems like I should have a disclaimer on this post, saying I’m not a lawyer and that this isn’t legal advice. I’m not a lawyer, and this is not legal advice. This entry was posted in For Authors, For Editors, For Self-Publishers on March 1, 2018 by Emily. When my first book, Bread Science, came out in 2006, I had a list of ideas on marketing from a guidebook I had read about self-publishing. I made a sell sheet, sent it to bookstores, and got no response. I tried to schedule readings at my local bookstores, also without much luck. But somehow the book started selling, and has sold steadily ever since. I attributed this to luck (meeting Peter Reinhart) and timing (artisan bakeries and home baking were about to blossom) and the fact that there is no other convenient place to get the information I included. 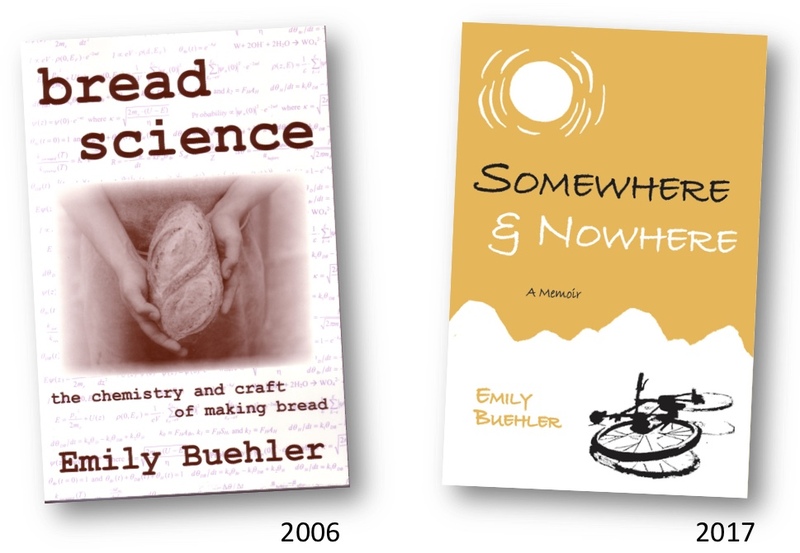 When my second book, Somewhere and Nowhere, came out last year, I did not expect it to sell like Bread Science. I had a revised list of ideas to try: scheduling events not in bookstores but in outdoor supply stores, maybe contact the local radio station. It was hard to follow through, and so I pushed the work aside. A conversation last weekend led me to realize some things. Not authentic: this is not my kind of biking! My involvement in communities that relate to bread aids sales of Bread Science. I teach bread classes, attend science events with my bread table, and network with bakers. I participated in the (now defunct) #breadchat on Twitter. These methods of marketing came easily because they were authentic—I would have participated with or without a book to sell. In contrast, I’m not part of communities that include target readers of a book about self-discovery on a cross-country bicycle trip. I’ve always preferred to ride solo, not in a pack. I’m not part of a travel company community; my riding partner and I actually rejected the idea of going with a company and were thankful we had. And self-improvement has always been something I work on alone or by talking with a friend (or, at times, a therapist). I can authentically become part of communities or groups that contain potential readers. It’s okay if the book gains readers slowly. Authentic: this is more like it! This makes me feel a lot better because I’m more comfortable when I am being authentic. It removes the pressure of trying to sell the book, and makes me feel braver about approaching others with it. It also ties in with an idea I heard recently, that for self-publishers, building an author brand is the route to success, and sales build over time. I don’t need immediate promotion of one title, with a six-month cutoff for success, as is common in the traditional publishing industry. My first idea is to write a list of discussion questions for the book and then approach the local library’s outdoor book club. I could attend the book club if they decide to read my book, and interact with the readers. I’m also going to follow up on my idea to approach bloggers who review books or discuss travel or bicycling. This was on my original marketing idea list, but I feel more comfortable about it now. This entry was posted in For Authors, For Self-Publishers on January 22, 2018 by Emily. What is distribution? For a self-publisher (or as they are now sometimes called, author-publisher), distribution can be the most confusing part of publishing. This is because the term has various meanings. In general, it refers to the means by which books go from the publisher to the retailer (e.g., a bookstore), who then sells them to readers. Before self-publishing became so popular, the distribution system worked a certain way and was intertwined with publishing houses. Some publishing houses had their own distributors and some used outside distributors. Among these traditional distribution methods, some are now technically available to author-publishers, but a large part of the system is filled by publishing houses, which makes these methods in practice fairly unaccessible to author-publishers. There are new methods of reaching retailers that also fall under distribution and are accessible to author-publishers. There are also publishing services that include some form of distribution in their service packages, which further complicates the picture. The addition of e-books and e-book distribution makes the picture even more confusing. As an author-publisher, I’ve sold print books directly to readers (i.e., no distributor) via my website and the Amazon Marketplace, and used a few e-book distribution methods. I’ve read about other methods available to author-publishers. I have no first-hand knowledge of the more traditional distribution methods but learned about them in a recent webinar presented by Angela Bole of the Independent Book Publishers Association (IBPA). I’ve attempted to list the methods here. If you know of something I’ve left out, please share it in the comments. There are now three methods of printing books: offset printing, digital printing, and print-on-demand (POD). Offset printing is the long-standing method and makes sense for large print runs (~1000 books or more). Digital enables small print runs at reasonable prices. POD uses digital technology to print books one at a time, as they are ordered; note that with POD, books usually go directly from the printer to the reader. The diagram below includes the distribution methods that are most relevant to new author-publishers, with additional methods described in the text only. 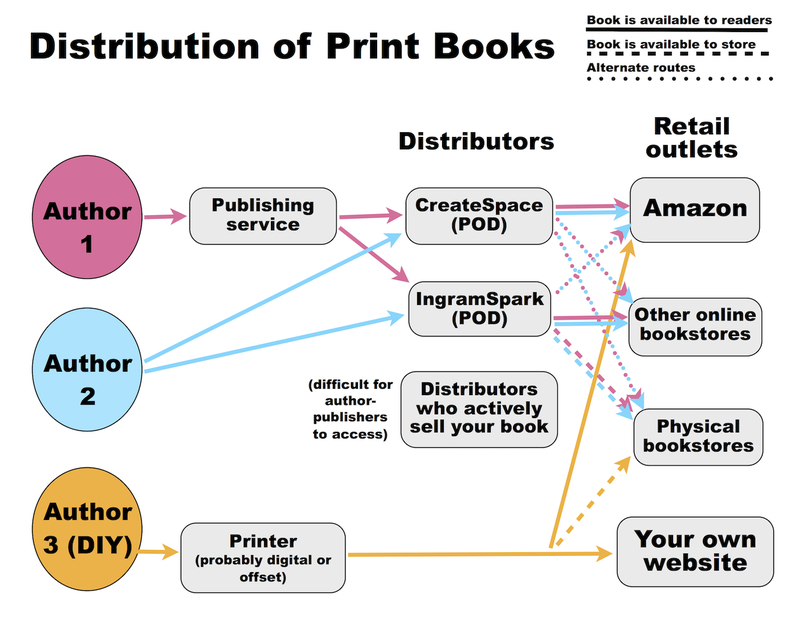 Distribution without a distributor (Author 3 in the diagram above): The author-publisher pays to print a bunch of books, either using offset or digital printing. She sells them from her website and mails books when orders come in. She might visit local or relevant bookshops and ask them to carry the book, offering a wholesale discount. If the book sells well, the bookseller might want to order more, but because there is no distributor, the book is not “in the system” to easily reorder; the author might have to check back to keep the bookstore ordering. The author can sell on Amazon (a retailer, not a distributor) using the Amazon Marketplace; again this involves the author mailing the books when orders arrive. With this method, the author keeps most or all of the profit. Distribution with POD companies (Author 2 in the diagram): The author-publisher lists the book with one or more POD companies; the author sets a wholesale discount as if the POD company is a bookstore. When someone (a reader via an online retailer or a physical retail store) orders a book, the company prints and ships it; they take their cut, but there is no fee for acting as a distributor. The two biggest companies are CreateSpace and IngramSpark, and there are many articles comparing the two. As of 2017, best practice (because of the fees charged) was to use CreateSpace to list the book online at Amazon, and to use IngramSpark to list the book everywhere else. Distribution with POD companies via a publishing service (Author 1 in the diagram): The publishing service takes care of getting the manuscript to the POD companies; usually an author would only use this route if he’s also buying additional services, such as design and editing. Start by searching “full-service publishing providers” online; read not only directories but also articles that rate and review the companies. There are good and bad publishing services out there; be sure to read reviews before signing up to work with one. Traditional, passive distribution: The publisher uses a distributor (such as Ingram, the biggest, or Baker and Taylor) to handle billing and shipping, but there is no sales team pitching the book to retailers. The distributor simply lists the book as available and stores copies. The agreement should be nonexclusive—the publisher can sell the book elsewhere. There is an application process; the author-publisher must have significant sales and might be required to offer a certain discount, accept returns, pay a fee, and more. This only makes sense for books that are selling thousands of copies. The company is sometimes called a wholesaler rather than a distributor. Traditional, active distribution: The publisher has an exclusive agreement with a distributor, who is the only one who can sell the book to retailers. The distributor handles billing and shipping and also has a sales team that actively tries to sell the book. 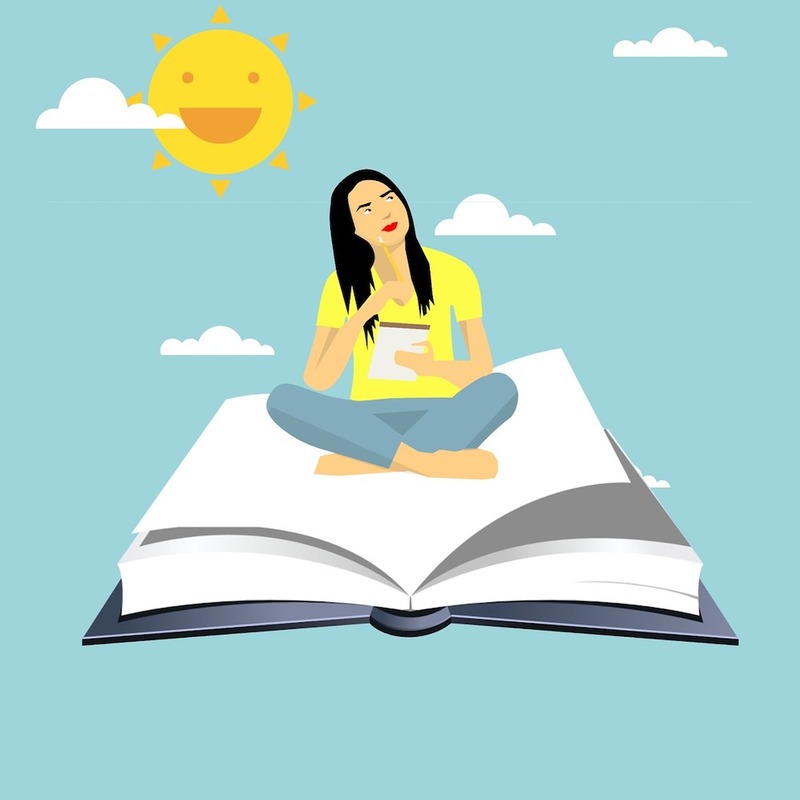 Many distributors will not work with author-publishers, although this is changing, but there must be several books and significant sales, as well as other qualities like the publisher’s perceived longevity and prominence in the marketplace. Note that with a traditional distributor, the author and/or publisher only receives a small fraction of the sales price. Author-publishers should be clear about which type of distribution they are receiving—they often think there will be active selling when really they are working with a passive distributor. There is a list of distributors at the IBPA website, here: http://www.ibpa-online.org/page/distributors (these distributors have not been vetted). 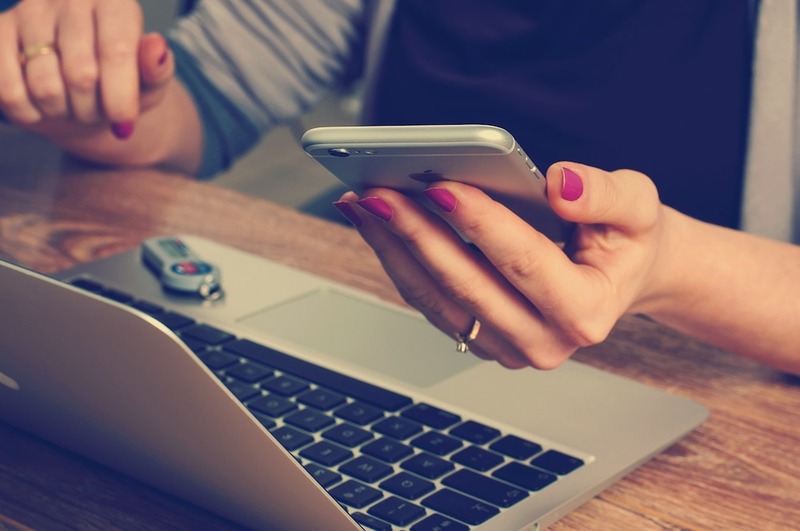 Some of the traditional distribution companies mentioned above also handle e-books; if you work with one of those companies, make sure you understand the agreement and what is included (i.e., do you retain the e-book rights?). The main decision of publishing an e-book is whether to work directly with each retailer (and keep more of the profit) or to use a distributor (and have less work, plus the ability to reach additional markets) or to use a mix of both. If you choose to work directly with retailers, remember that any change to your e-book will need to be made at each retailer; you might start with one and see how it goes before uploading to the rest. The methods listed below are the most common for an author-publisher. 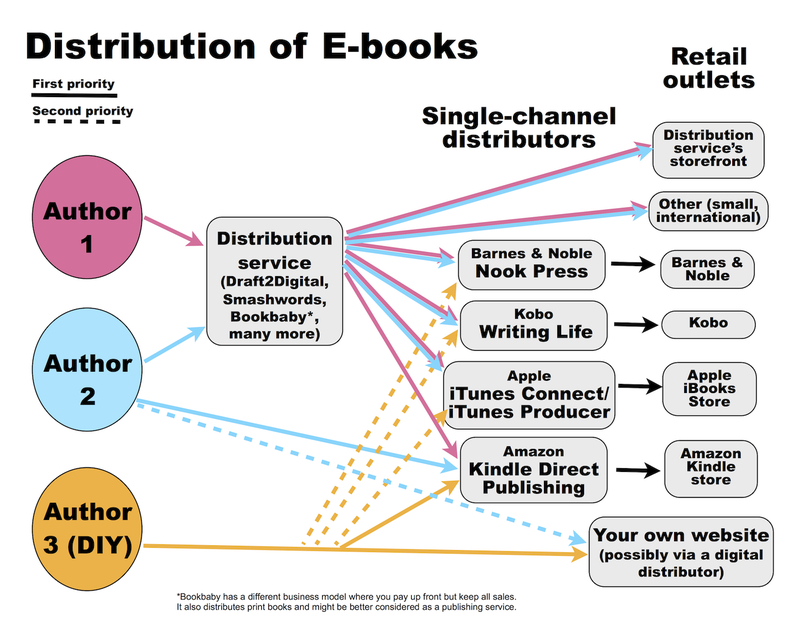 Distribution without a distributor (Author 3 in the diagram below): The author creates e-book files and sells them directly to buyers. Note one complication with this situation: As the seller, the author could email the e-book to the buyer, but the files are often large and buyers expect to download an e-book as soon as they buy it. Creating a system where the buyer is taken to a webpage to download the e-book requires some technical know-how; there are also security issues to consider. Thus, it is easier to use an intermediary to deliver the book. These intermediaries are called “digital distributors” and they take a cut of the profit, but I still consider using them as “selling direct to buyers” and the cut is smaller than that taken elsewhere. I use Gumroad. Distribution via single-channel distributors: Single-channel distributors enable an author to sell his book at one online retailer; for example, Kindle Direct Publishing enables e-book sales on Amazon. These distributors are “self-serve” and straightforward to use; simply follow the instructions for formatting and converting the document to an e-book and upload, and the e-book will appear for sale at the retailer’s site. Authors can access these distributors themselves (Authors 2 and 3 in the diagram below) or with a distribution service (Authors 1 and 2 in the diagram). Distribution via a distribution service (Authors 1 and 2 in the diagram): A distribution service publishes an author’s e-book at whichever retailers she chooses, and takes a cut of the sales. Currently the most popular distribution services are Smashwords and Draft2Digital. There are many reviews comparing them, so I won’t get into that here. Distribution services usually have their own storefront, meaning that they’ll sell your e-book to readers and take a cut but there won’t be an additional cut taken by another retailer, like Amazon; however, sales from these storefronts are not typically large. Another decision is whether to publish exclusively with Amazon KDP Select (which offers promotional advantages) or with as many retailers as possible. If your target readers are using Kindle Unlimited, publishing exclusively with Amazon makes sense. To find out, look at the top books in your category on Amazon and see if these books are available in Kindle Unlimited. Note: Bookbaby is sometimes listed as a distributor. Bookbaby’s business model is different: authors pay up front for services, then keep all the money from sales. Bookbaby might more accurately be described as a publishing service provider. What’s going on with these e-book authors? Author 1 is taking the simple route: using a distribution service to handle all e-book sales. The service will convert the manuscript to an e-book and upload it at all the retailers’ websites. Either the service will cost money to use, or the service will take a cut of sales. The retailer (e.g., Amazon) will also take a cut. Author 2 is uploading the book directly to Amazon, the biggest e-book retailer. This way, only Amazon will take a cut of sales of e-books sold on Amazon. To reach the other numerous e-book retailers, the author uses a distribution service. Author 3 is selling e-books directly from her website. She is also selling them at Amazon and other select online retailers; unless she is so famous that people will seek out her e-book on her website, using other retailers is smart because many more readers will find the book. Author 3 might try to sell with all the other retailers, but there are many, and some do not accept e-books from author-publishers; she might use a distribution service to reach only those other retailers (this is not show on the diagram). I hope this post clears up any confusion about book distribution. Of course, the situation is constantly changing, with new services appearing and old institutions gradually accepting the legitimacy of self-publishing. 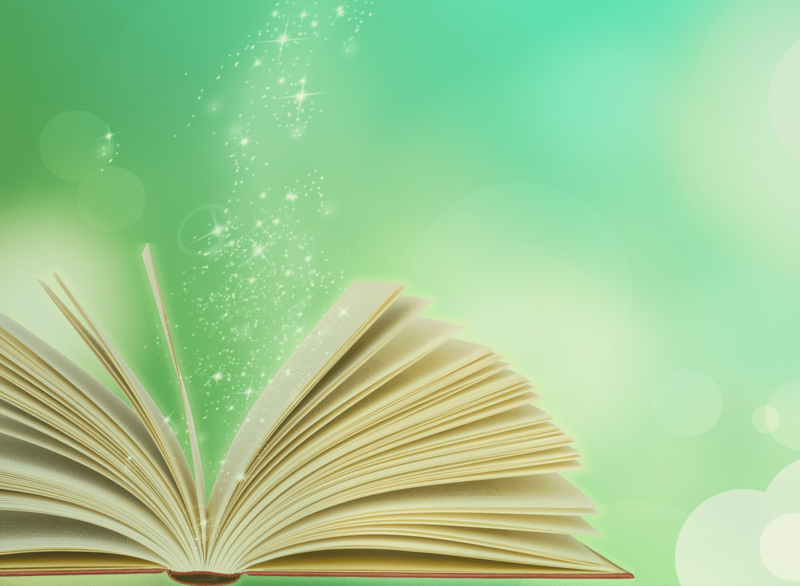 New paths might open for author-publishers any day! This entry was posted in For Authors, For Self-Publishers on January 4, 2018 by Emily. At one of my jobs, they told me to Use More Hashtags! I know this might come naturally to some folks, but I began using social media later in life and decided to research a bit. I read a lot of articles that repeated each other, but the information organized in my head in a different way. Here’s how I see hashtags. An area of confusion among my coworkers was what kind of hashtags to use. Should the hashtags contain our company name (i.e., branded), to stay unique to our events? Or should they be general hashtags (i.e., unbranded) that others might already use, resulting in more people finding us? The confusion resulted from confusion about the goals of using hashtags. A key point to me was the global versus local nature of unbranded and branded hashtags, respectively. It might benefit a nationwide company to use an unbranded hashtag and have people all over the world discover the company. As a small business without online sales, we would do better to engage with people living nearby who might come into our store. This entry was posted in For Authors, For Editors, For Self-Publishers on October 12, 2017 by Emily. 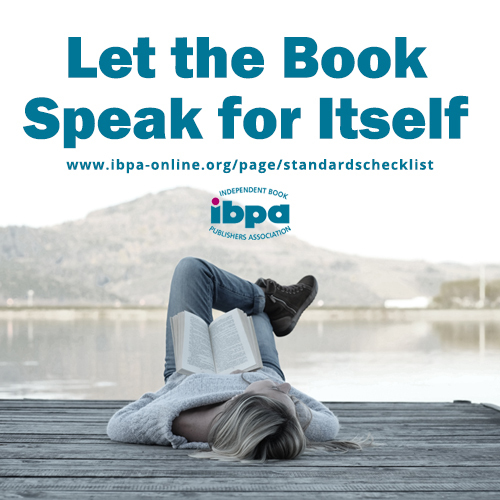 Yesterday I attended a webinar about the Independent Book Publishers Association (IBPA) checklist of book standards. 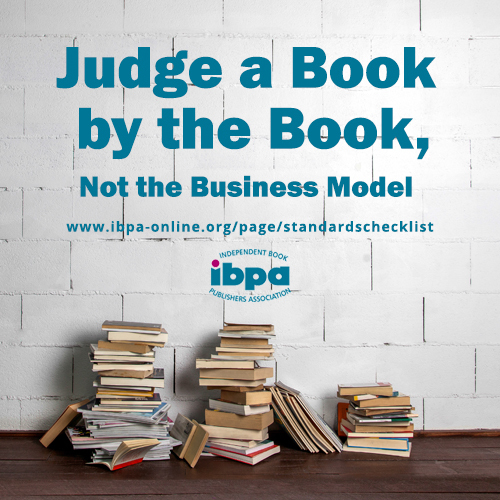 IBPA is hoping to change the publishing industry so that all books are judged by their quality, not by who published them. Providing the checklist to self-publishers enables them to produce professional-looking books that won’t instantly be labeled as self-published and therefore inferior. And, promoting the standards on the checklist as the standards to use to judge if a book is professionally published will result in librarians, reviewers, and bookstore buyers ignoring the type of publishing model used in favor of the quality of the book. Brooke explained that the publishing industry is an old one, with entrenched standards. If an author wants a book to succeed, the book’s chances increase if it fits in. This might be hard to take for some authors, who want to rebel against standards or produce a unique-looking book. However, in this industry, the best way to succeed is to adhere to standards. While the content of a book will always determine how it is received, the book’s appearance can get it in the door. When I first self-published, I looked at other books to determine what I should do. This worked for the most part, but there were definitely items I missed. (I’m relieved at how much I did right! But I now squirm to see the mistakes I made.) The checklist will help self-published authors avoid mistakes that will flag their books as unprofessional. 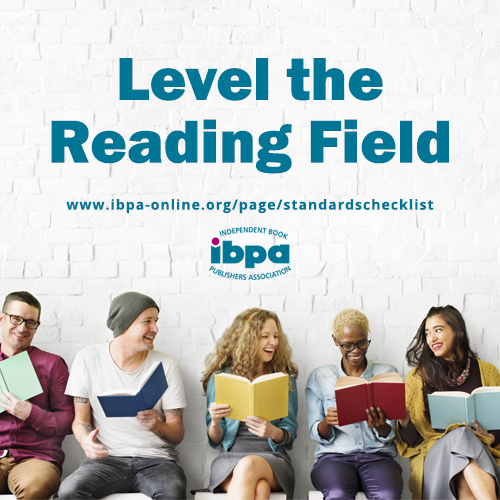 You can download the whole checklist on the IBPA website, here: http://www.ibpa-online.org/page/standardschecklist (Click on “Download the checklist.”) Brooke noted that the checklist is relatively new, and that IBPA welcomes feedback on it. This entry was posted in For Self-Publishers on October 5, 2017 by Emily.